The White House has announced a new strategy to accelerate the development of next-generation wireless networks that may compete with proposals to interfere with GPS spectrum for a long time, will 5G become the new fuse for GPS anti jammer? Ligado has long expressed its intention to implement 5G. On October 29, a few days after the White House strategy was announced, it announced plans to work with Ericsson and Sequans to develop new 5G technology for the satellite portion of satellite and terrestrial mobile networks, which will provide key industries with a 40 MHz IF spectrum. 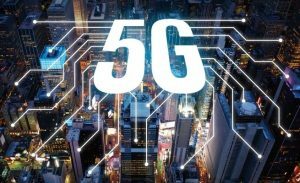 5G solutions drive the next generation of US infrastructure. However, Ligado wants to use the frequency of 5G in the L-band to approach the frequency of GPS use for GPS anti jammer. Although Ligado has revised its plan to reduce interference, studies have shown that interference with GPS receivers is still large. The GPS community is participating in 5G and ensuring the need to protect GPS signals to avoid GPS anti jammer – this is necessary for wireless network synchronization, which is clear. A month before the announcement of the 5G strategy, the White House held a summit of stakeholders including the GPS Innovation Alliance. In a blog posted on the GPSIA website David Grossman, GPSIA executive director and App Association’s Morgan Reed explains why protecting GPS frequencies from interference is critical to the success of 5G.